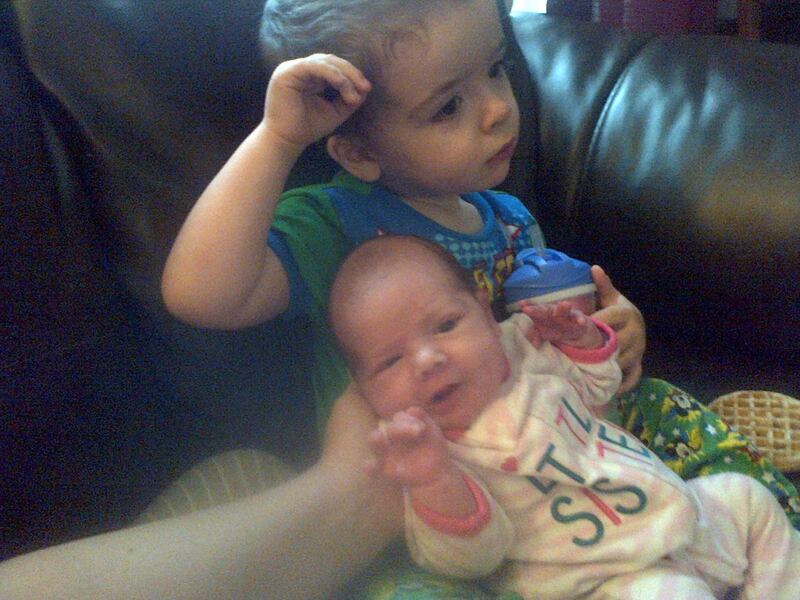 In January 2014, Hubs and I were surprised to find out we were pregnant with a fourth baby. We weren’t planning on having anymore, but it was definitely a welcome surprise! My first trimester was full of heartburn, mild morning sickness, dizziness and exhaustion. My second and third trimesters weren’t any better, and in fact constant hip/back pain was a very unwelcome addition. I had no idea if we were having a boy or a girl (even though I had guessed with the other pregnancies) The two boys pregnancies were almost identical and Zoey’s was the opposite of them, so everyone tease that since this pregnancy was so different again, and because I started showing so soon after getting pregnant that I was probably expecting twins. (eek!) 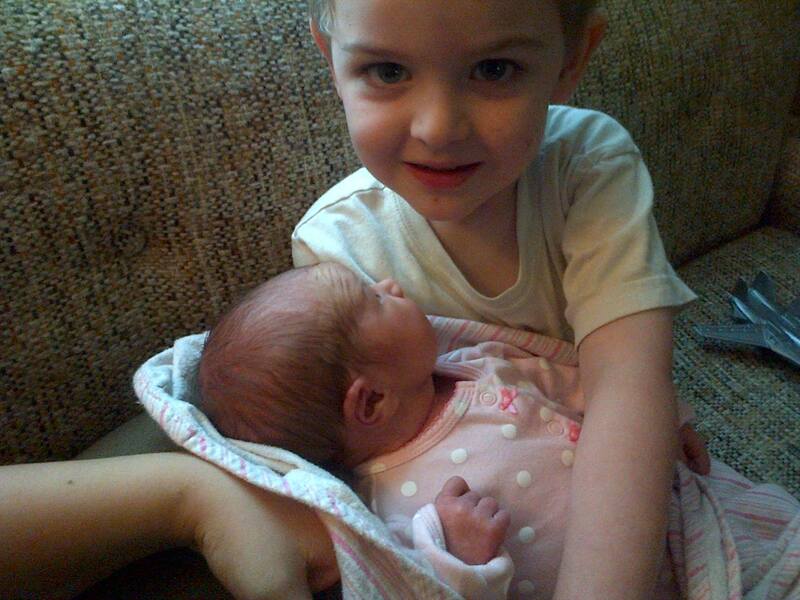 Alex however was adamant right from the beginning of my pregnancy that he was going to have another little sister. On May 7, we found out that Alex was right! 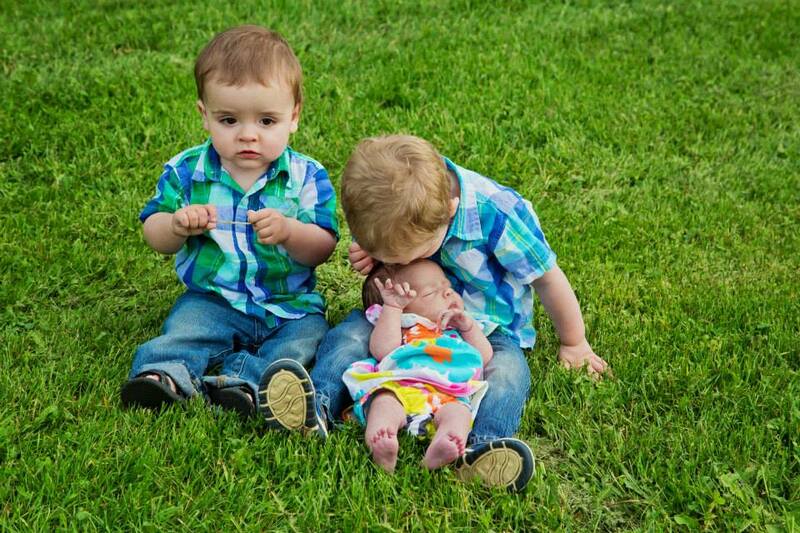 He was going to have another little sister! At 28 weeks, there was one evening that I was getting very regular Braxton Hicks contractions and I also lost part of my mucous plug. I was scared, but my Dr reassured me that everything was fine and it was normal, especially since this was my fourth pregnancy and they were all close together. He also mentioned (again) that I wouldn’t make it to my due date but he was sure I would make it to term, even if just barely. When I was 35 weeks pregnant I went in for a prenatal appointment (Tuesday Sept 2) I told my OB that I was feeling off. I had been getting Braxton Hicks for a long time, but these felt different. She did an internal exam and assured me that although I was 2 cm dilated it didn’t mean anything and there was nothing to worry about. I was not in labor and she would see me in two weeks. On Thursday (Sept 4) at 7pm my ‘Braxton Hicks’ were 5 minutes apart and some of them really hurt! But I was convinced it was nothing. I took a warm bath, a tylenol and tried to sleep. 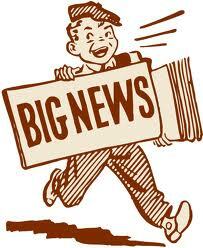 By Saturday (Sept 7) the contractions were 3.5 minutes apart and lasting 45 seconds. I was still refusing to go into the hospital, sure I was going to just be sent home and told it wasn’t labor. After all, I was only 36 weeks. At about 11am I was getting the kids dressed and ready to go to my parents house. All of a sudden I felt a small gush of fluid as I was getting up from the couch. My mom and husband convinced me at that point to go in and get checked out. When I got to the hospital the nurses agreed that I was leaking fluid but couldn’t get a positive on the test to confirm my waters had broken. So they monitored me for awhile and confirmed that I was in labor and got me up and walking around. At 4pm I was 5cm dilated and the contractions were starting to get stronger. At about 8 pm my contractions had stopped. The Dr decided to start Pitocin and I opted to get the epidural since I hadn’t slept in a couple nights and I had a feeling I was in for a long night ahead. After the Dr popped the bulge of water things went fast. At 4:30 I was feeling the urge to push and at 4:40am Emma-Rose Agnes made her debut! She was 7lbs 2oz and 19.5 inches long. After being checked over it was determined that even though she was considered late pre-term she was healthy and wouldn’t need to go to the NICU. Over the next few days, we struggled to get her to take in enough food. By the time she was 72 hours old she had lost more then 11% of her birth weight. Her pediatrician decided she was going to need to be put on a feeding tube which meant she needed to be placed in the NICU. Shortly after she was placed in the NICU her blood work came back and her jaundice levels were increasing instead of decreasing. 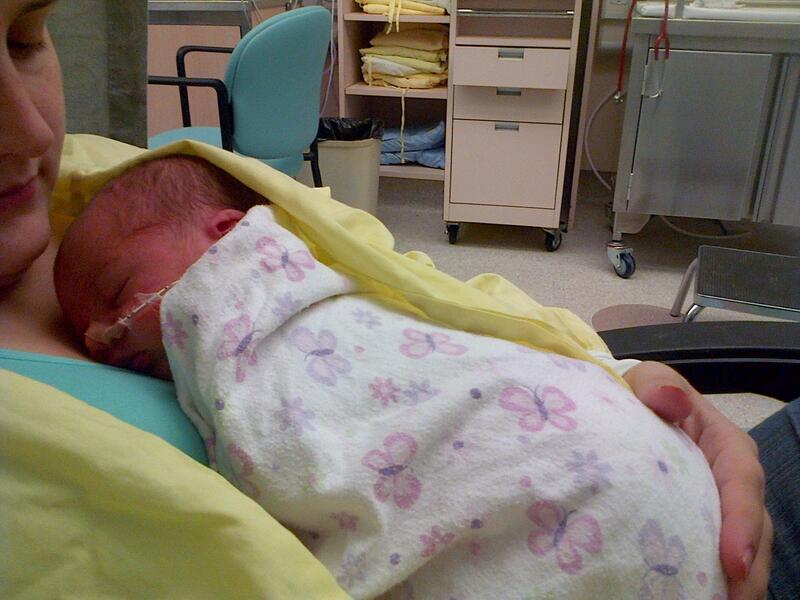 She was placed on the lights to treat her jaundice for 24 hours. After 24 hours her levels dropped low enough to be taken off the lights and our biggest issue was getting her to eat from a bottle. On September 15, after 5 days in the NICU she was able to come off her feeding tube for a trial run to see if she could consume enough to come home with us. On September 16, at 9 days old (and weighing just 6lbs 4 oz), we were finally able to bring Emma home! It was an amazing feeling!! Today Emma is almost 4 weeks old. She is 7 lbs and 13 oz! When T was 36 weeks pregnant it was discovered that her blood pressure was high, as far as I could tell, no one was too worried, but it was taken note of. At her 37 week check up her blood pressure was still up and proteins were found in her urine. Due to this, more testing was ordered and she needed to do a 24 hour urine collection and some blood work. At her 38 week check up she was told that the results were not good. It was recommended that she receive a stretch and sweep to try and start up her labor (for anyone who isn’t sure, this means they stretch the cervix as well as do a membrane sweep) and she was told that Baby L was going to be induced the following Tuesday (Sept. 17) and would most definitely be delivered by Thursday (Sept 19). On Saturday September 14, T asked me to come and sit with her at her house. She was getting back pains, her tummy was tightening and she was losing her mucus plug. But she swore she wasn’t in labor and Baby L wasn’t coming yet. I got to her house around 9 AM. I started timing her contractions for her and they were averaging about 7 minutes apart. Throughout the day, we chatted, watched movies, stalked yummy things on Pinterest and walked in an effort to get her labor going. Around 1 PM T’s contractions were closer to 5 minutes apart and her back was starting to really hurt her, we alternated resting and walking as much as she was comfortable. By 5 PM her contractions were closer to 4 minutes apart but she didn’t feel she needed to go in for pain, so we continued to wait it out, and did some more walking around the block. By 7:30 PM her contractions were coming steady about 3-4 minutes apart and lasting about 45 seconds. T was uncomfortable, but was still insistent she wasn’t ready to go in. At 7:50 PM she said she would probably go in, in about an hour. A couple minutes after 8 T stated she was starting to get a headache which was one of those things we were suppose to watch for and call in about because of her blood pressure. After calling the Labor and Delivery unit at the hospital T was asked to come in, so Mr. T got everything ready and we loaded up to go. When we arrived at the hospital, T had her blood pressure taken as well as some blood drawn to be tested. After being monitored for a little while it was decided that T needed to have Baby L right away, and since her body had already started the process, it made sense to help it along. I am going to include here, although we found this out later that T had been diagnosed with Toxemia, also known as pre-eclampsia. Pre-eclampsia or preeclampsia is a medical condition characterized by high blood pressure and significant amounts of protein in the urine of a pregnant woman. If left untreated, it can develop into eclampsia, the life-threatening occurrence of seizures during pregnancy. can cause endothelial dysfunction in the maternal blood vessels of susceptible women. While blood pressure elevation is the most visible sign of the disease, it involves generalised damage to the maternal endothelium, kidneys, and liver, with the release of vasoconstrictive factors being a consequence of the original damage. An outdated medical term for pre-eclampsia is toxemia of pregnancy, since it was thought that the condition was caused by toxins. After being on the oxytocin for a little while T’s contractions were getting stronger and stronger. At about 11:30 PM breathing through them just wasn’t cutting it anymore and she requested an epidural. (The epidural had been discussed earlier with the OB on call, and it was suggested that she get it. The logic behind the recommendation was the epidural would reduce some of the pain which could keep her blood pressure a little lower) At 12:30 AM the anesthesiologist arrived to give T the epidural and I was kicked out of the room. A little before 1 AM I was allowed back into the room while T waited for her epidural to take effect. Unfortunately it didn’t work out the first time, but after some adjustments T was able to get through the contractions a little easier. By 1:45 I was absolutely exhausted and couldn’t even stand anymore. T was checked at this time and was 5 cm dilated so I curled up and closed my eyes for a little while. I got up again at 2:15. T was insistent that no one remind her to breath anymore (I guess the constant reminders were getting annoying, but if she hadn’t been constantly holding her breath….) And since she was feeling a lot of pressure and wanted to push the nurse checked her again. 10 CM!!!! We were ready to get the show on the road. T started pushing at 2:20 AM. Baby L was born at 3:32 AM. A lot happened in that time frame, and I really don’t remember the times anything happened, just the order. -Mr T was staying up near T’s head. Until I could see Baby L’s hair. Then he wanted to see too. What an amazing thing. -T was tired and just wanted a nap. Thanks to an amazing nurse, T was given the encouragement she needed to keep pushing. -The OB barely caught Baby L. I was a little worried. -I will never forget the look of absolute shock and amazement on T and Mr. T’s faces when the baby was placed on T. I am sure it is the same look all new mom’s and dad’s have. But since in all my experiences, I have been the mom, it was an amazing thing to see. I wish I’d had a camera to capture it. But T said no pictures! Baby L is absolutely perfect. I cannot get over how small he is. After he was born, both T and Mr. T were given some skin to skin time. T started breastfeeding him within an hour of giving birth. After he was weighed and swaddled he was moved to the NICU for observation (because of the magnesium sulfate) but T was promised that he would be brought to her for his feedings and whenever she wanted him. T was kept in labor and delivery and wasn’t allowed visitors for the first day after having Baby L. Unfortunately her blood pressure was still a little high and she needed to be monitored. She was also sent for an EKG and a chest x-ray. Today, while I am finishing up this account, T’s milk has come in. 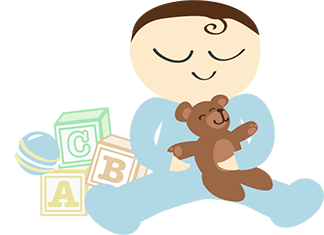 She is having success with breastfeeding Baby L, but has said she would be struggling if not for the help of Mr. T. She and Baby L are home now and doing great. Thank you so much to T and Mr T for allowing me to be a part of something so amazing. It was an experience I will never forget. You guys are going to be amazing parents! I can’t wait to get to know Baby L. Also, Alex sends hugs. So of course, I am super excited to have this experience with her. It is an amazing honor that she trusts me enough to be there for her, and feels that I am going to be an asset to her experience. And of course, I am very excited to get to experience birth from the other side. Not to mention, getting to meet Baby L before the rest of the world. Eee! T and I have had a couple very good conversations about what she wants/needs from me as one of her support people, and how I can also support Mr. T. I feel very confident that I am going to be what T and her hubs need, and I hope that I can help contribute to a positive and happy experience. To T, I want you to know, that I am going to do everything I can to make this a positive empowering experience for you. Remember, the pain is natural, and your body knows what it’s doing! Soon, you and Mr. T are going to be holding Baby L and all this icky pregnancy business will be behind you. You’re strong, brave and awesome! This is my third and last installment of my birth stories. This is the story of Miss Zoey-Ann Marie. In August of 2012 I decided that I wanted another baby. Hubs and I had talked a little about it back and forth, but I had decided that I did, for sure, want another baby, and if we were going to have another baby we were going to start trying asap so the age gap would be similar to that of Alex and Nick. Hubs was on board and so the trying began. We didn’t have to try very hard ha ha. 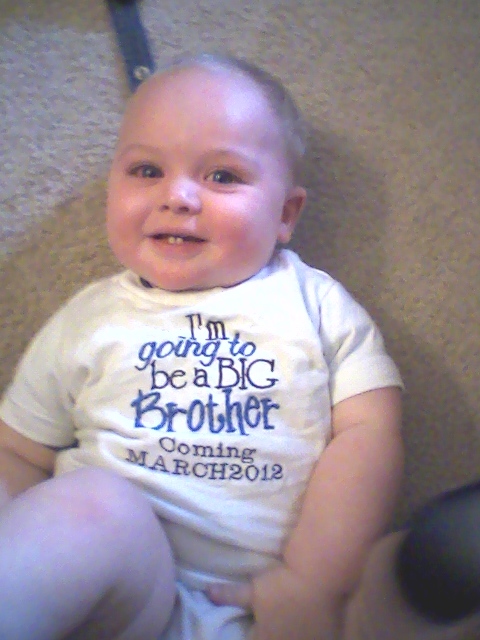 Less than a month later on September 19th, 2012 we found out we were expecting our third little monster! This pregnancy was amazingly different than the boys were. I flew through the first trimester with no morning sickness, and the second and third trimesters with minimal aches and pains. This time around I was sure we were going to be having a girl. 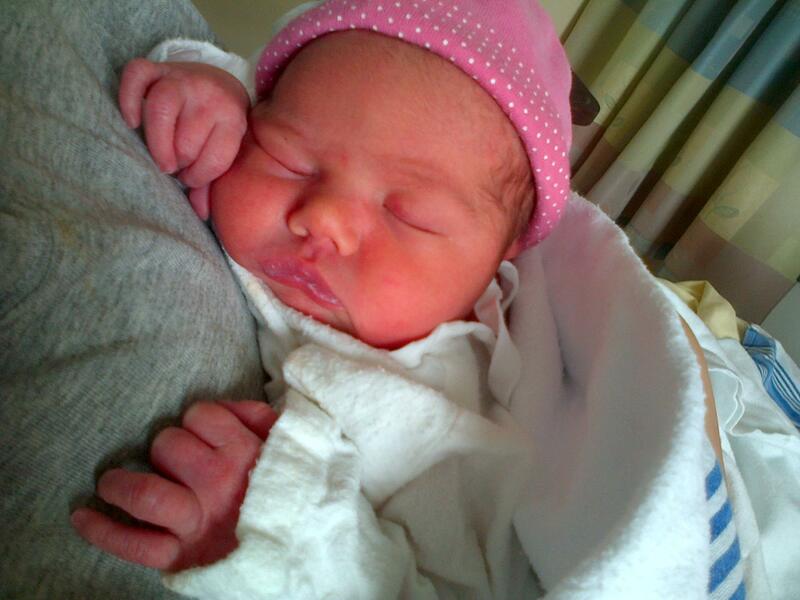 We chose the name Zoey-Ann Marie for a girl, after my mom who is Sherry-Ann Marie and Zachary Ian for a boy. On January 3rd, 2013 we found out that we were indeed going to be welcoming a little girl into our not-so-little family! The original plan when I found out I was pregnant was to go out to MB in February and have the baby in Winnipeg with my mom. 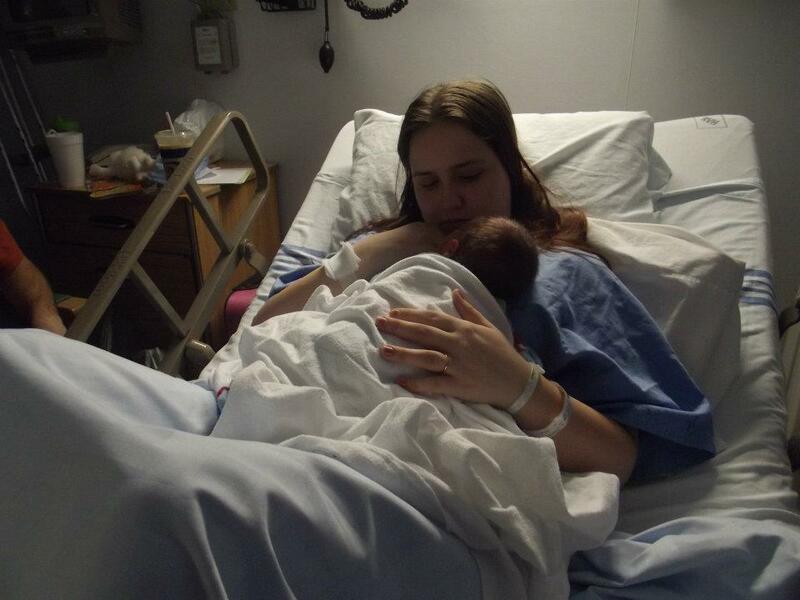 I went out to Winnipeg but there were some complications (in life, not my pregnancy) that resulted in me choosing to come back to New Brunswick on March 31st, 8 weeks before my due date, to have the baby here. One of the biggest reasons was the Dr I had in Winnipeg not taking my fears about my bladder retention issues seriously. To me it was a very big issue. When I arrived back in New Brunswick and was assigned to an OB (I couldn’t get the same OB I had with the boys as he was booked full and I needed an OB right now.) We sat and discussed my issues and fears. Since the cause of the bladder retention issues with Nick was never discovered, we only had theories to work from. The theory was that the issue was caused by 1-The size of the babies (Alex was 7 lbs 14 oz and Nick was 8 lbs) 2- The length of time I spend pushing (4.5 and 2.5 hours respectively) 3- the use of the epidural leading to the use of catheters or some combination of the three. 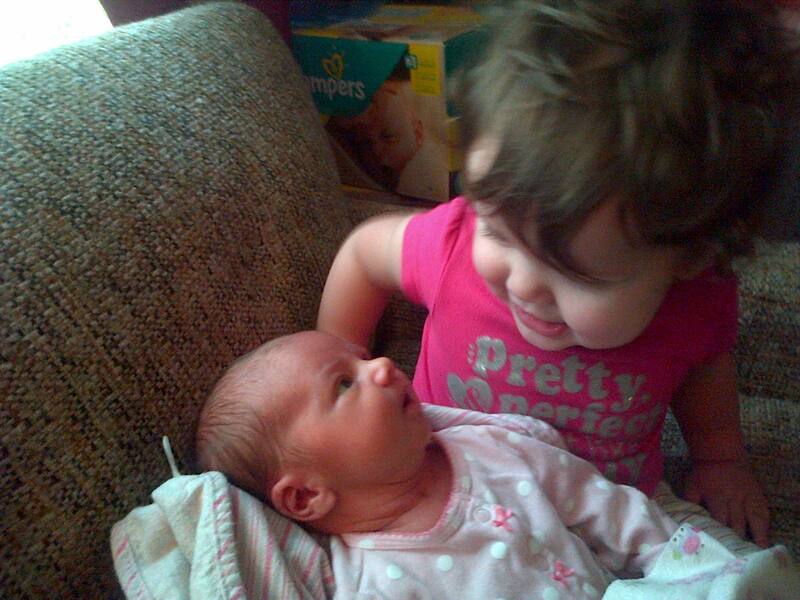 The OB decided to closely monitor Zoey’s size, and induce if she seemed to be over the 7.5 lb mark. It was also decided that I would be induced on my due date at the very latest. He also decided that he didn’t want me pushing for more than an hour, and if at an hour she wasn’t almost out he was going to move me over for a c section and that we wanted to avoid having me catheterized if at all possible. When I was 10 days before my due date, I lost feeling in my bladder. I could still pee on my own, but my body wasn’t telling me when I needed to. I was scheduled to be induced on May 18th, 7 days before my due date. Unfortunately my induction was pushed off until May 20th. Suddenly I had the urge to push. I was shocked at first. I had never felt this urge before (thank you epidural!) after a couple more contractions I couldn’t resist the urge anymore and I got back up on the bed to start pushing. Less than 10 minutes later, at 4:55 PM weighing 7 lbs 3 ozs and 20 inches long, I gave birth to our amazing daughter. Because I was out of the hospital so fast with Zoey, I actually don’t have any pictures of me holding her in the hospital. Ironically, my three babies have 2 very interesting similarities. All three of them were due on the same day of the month (Alex Dec 25, Nick Mar 25, and Zoey May 25) and all three of them had the same size head and tore me the exact same resulting in me needed the same number of stitches! I was released from the hospital 24 hours after I gave birth, (on my birthday!) and came home to join my wonderful family. Since having Zoey, life has been an adventure. Thankfully, I have had no bladder retention issues (although I do occasionally lose feeling in my bladder and am currently waiting on an appointment to see my Dr about it) and the Postpartum depression and anxiety that were so prominent with Nick, are very mild. I have bad days/bad weeks but overall, it has been a lot better, which leaves me with some guilt, but that’s another post for another day! Today I bring to you my journey through pregnancy, labor and delivery with Nick! I got a positive pregnancy test on July 24, 2011. I had already suspected I was pregnant though based on the extreme nausea and the fact I was smelling things that no one else could. Hubs and I had decided that we wanted a second baby, but that we wanted to wait until around Alex’s first birthday before we started trying. 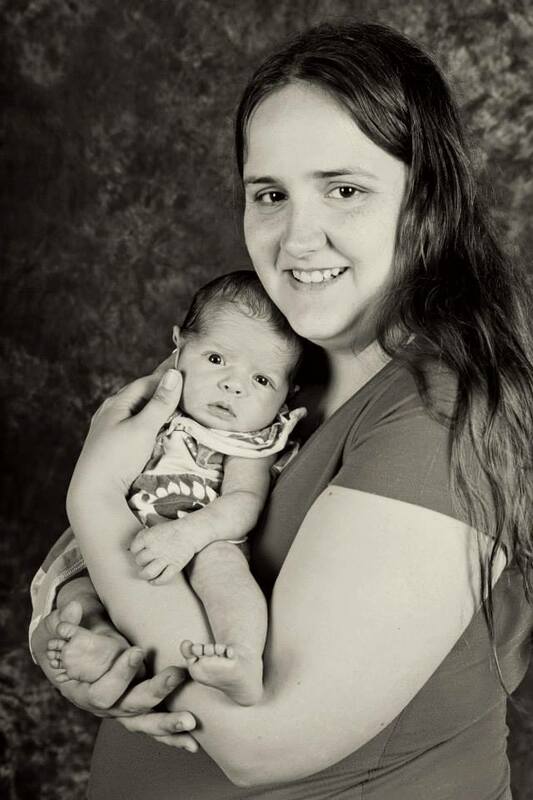 When I found out I was pregnant when Alex was only 7 months old, I was upset. I had it in my head that I was going to end up neglecting Alex because I was going to have this new baby, and he was going to grow up hating me and the baby. By the time I hit about 3 months pregnant all these feelings had seemingly gone away. When we found out we were pregnant we ordered Alex the shirt you can see him modelling above, and used it as our way of announcing to our family (and Facebook) that we were going to be expecting another bundle of joy into our lives. When I announced that I was pregnant with Nick, there were a lot of mixed reactions. Some people were very excited for us and others were shocked that we would even think about having a second so soon after the first. My first trimester was absolutely horrid. I was so glad that Hubs was still on parental from Alex to be home and helping me. I couldn’t even change a diaper without getting sick. (I guess it’s good that Alex thought the noises Momma made while changing him were so funny….) When I hit my fourth month of pregnancy, the morning sickness passed, Hubs went back to work and Alex and I created a routine at home for ourselves. I was lucky this time around that my hips didn’t cause me as much pain as they had with Alex. They hurt, but no where near the way they had. When I was 18 weeks pregnant, we moved. We had been living in a 4th floor, 2 bedroom apartment, but we were offered a 3 bedroom house for the same price we were paying and it made sense to me to make the move. 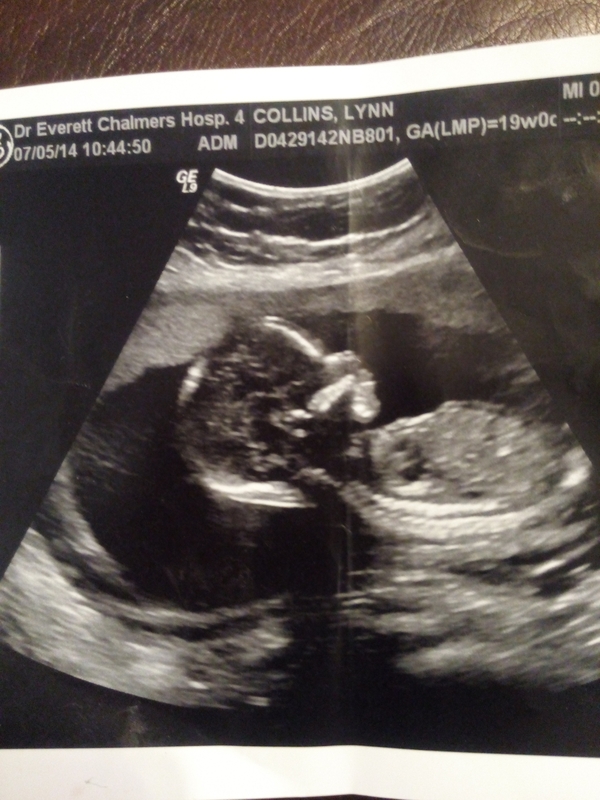 As I neared my mid pregnancy ultrasound Hubs and I talked a lot about the potential gender of the baby. Everyone around us was saying things like ‘Oh I hope its a girl this time!’ (Not that I understood why they all hoped I was having one gender over the other, I was personally just hoping for healthy!) I had a strong feeling I was going to be welcoming another little boy. For a boy we had chosen out Nicholas Sidney, Sidney being my father’s middle name and Nicholas being the better of the two boys names to go with that (The other name I had chosen was Zachary, but I didn’t like how Zachary Sidney sounded) We couldn’t agree on a girls name, and just kind of fell back on Madison Ann-Marie. 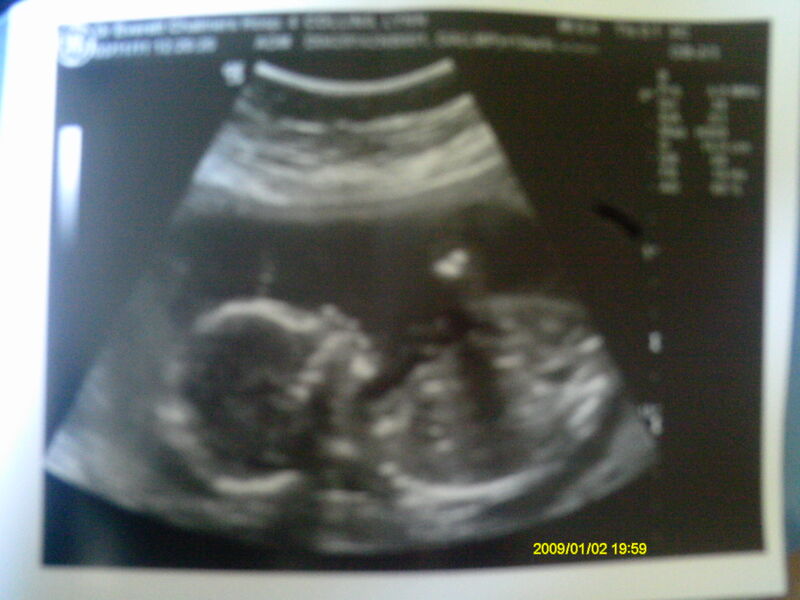 On November 3rd, 2011 I went for my ultrasound, and found out that we were indeed having another little boy! 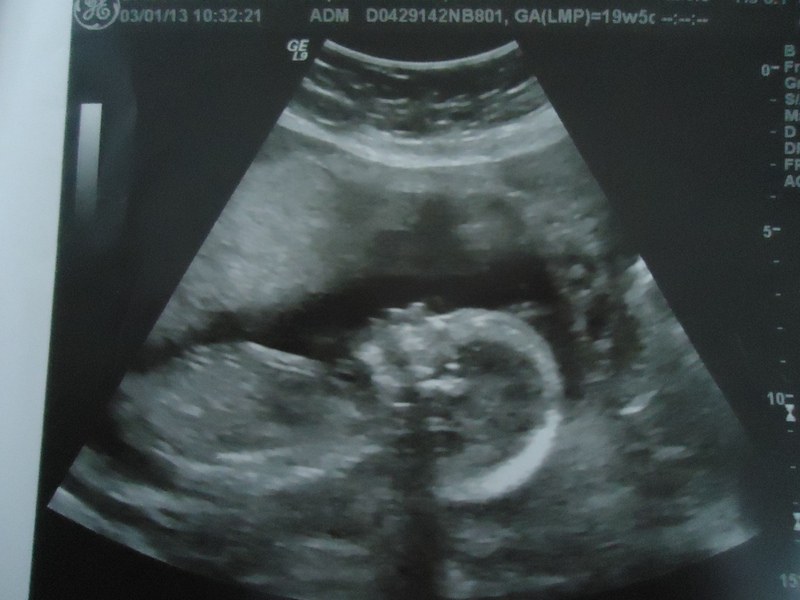 LIke with Alex’s ultrasound picture, just ignore the timestamp. My pregnancy progressed along relatively normally. Until the beginning of February when my awesome Hubs went for an ankle surgery, leaving me super pregnant and needing to do all the work around the house. I wasn’t really sleeping, Alex was teething and I had to get up every 3 hours to give Hubs his meds. Good times were had by none. Except maybe Alex who got to sleep in my bed all night every night, just because it was easier on me. When I was about 35 weeks I put myself into labor by shoveling snow. Since my water hadn’t broken and my contractions were irregular like they were with Alex, my Dr decided that I should be put on bedrest and wait it out until closer to 37-38 weeks and then we would talk about inducing labor. Bed rest was the biggest joke ever. Hubs was still hardly mobile, and I had a toddler in the house. Someone needed to be doing the cooking and cleaning, and hiring a cleaner was way way way out of the question. My recovery with Nick could be a post in itself. I tore along the same place I had been cut with Alex, and had the same number of stitches. This part was fast and easy to heal from. The hard part was the lack of feeling in my bladder and the lack of being able to pee. I was released from the hospital on March 19th with some self catheters and some direction on how to self cath and how often I needed to do it. Thankfully, a couple days before Nick was 3 weeks old I started being able to pee on my own and when he hit 3 weeks I was able to stop self cathing all together. Trying to adjust to the second baby, self cathing, and still not getting much sleep between a newborn and a teething toddler all contributed in leading me down a path of anxiety and depression. One day my husband came home from work to find the three of us crying on the floor and me having no clue what I was supposed to do for either of them. This led to him going back onto parental (we had decided that we wouldn’t, because it was a little easier financially if he didn’t) and me going into my Dr for some help. I was lucky and by the time Nick was about 3 months old, I was able to control the feelings I was having and start bonding with Nick. Coming soon is All About Zoey! I have decided that I want to document everything I remember about my pregnancies and labors. Obviously since I had three of them I am going to do it in three posts. I want to do this while most of the memories are still fresh(ish) in my mind. I hope two things come from these posts. 1- I hope it serves as something the kids can look back on. And 2- I hope mom’s can read this and see how different every labor can be, so having a bad experience doesn’t make them extremely anxious about going through the process again. This is part one. All About Alex. On April 21st, 2010 I found out I was pregnant. Hubs and I were excited and shocked that we were already pregnant! We were so anxious to find out if we were going to be having a boy or a girl! Who the baby would be like, who he would look like. Our due date was December 25th. I couldn’t think of a better Christmas present. The first trimester was ridden with morning sickness that was sometimes so bad I couldn’t even hold down water. Some smells set me off so so badly. Thankfully my Dr prescribed me some amazing pills (dicletic) that got rid of the morning sickness and nausea for me. After about week 12, I stopped taking them and the morning sickness had gone away. Throughout my pregnancy I suffered from extreme hip pain as a result of a fracture that I got when I was 17. It hadn’t healed properly and being pregnant refractured it. NOT FUN. At all. 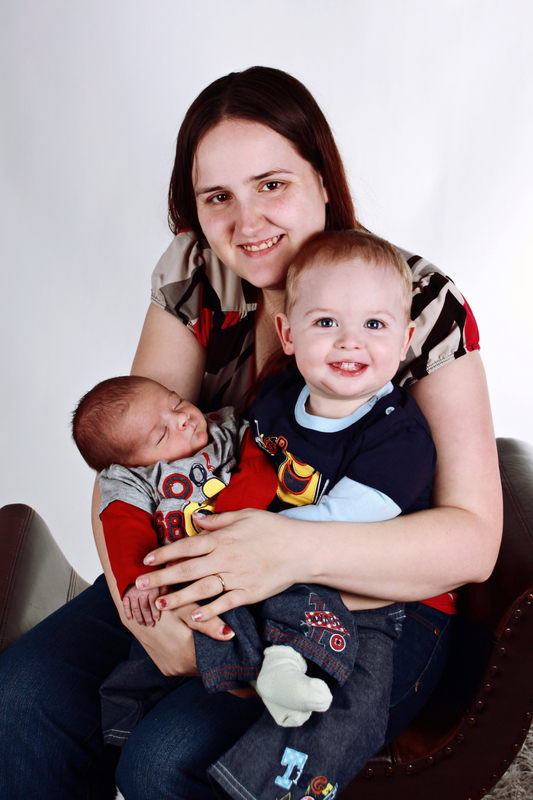 By the time I was 18 weeks pregnant I was put on sick leave and couldn’t work anymore. Unfortunately I was short a few hours to qualify for Employment Insurance, and we suffered an income loss. We weren’t too stressed about it. We planned out how we were going to afford the baby, and second hand stuff is always great!! 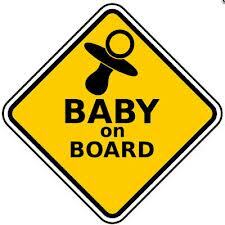 Our ultrasound was scheduled for August 10. We were so excited! I was sure the baby was a boy, and we had already picked out our names. 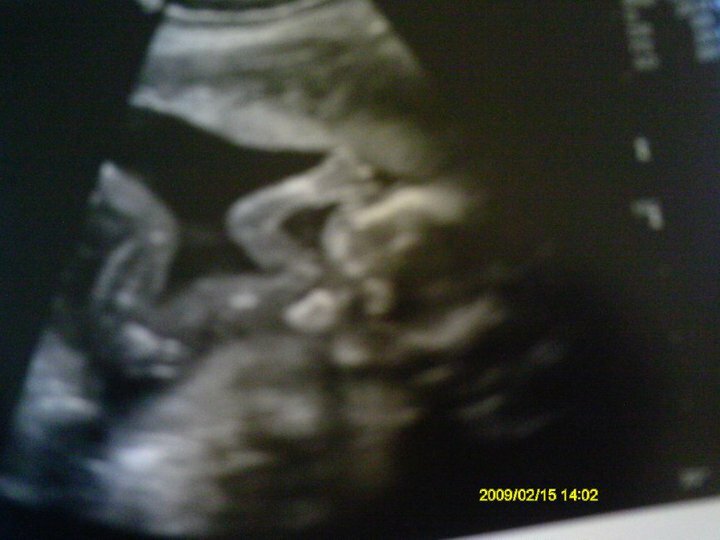 If we were having a boy it would be Alexander Mychael and a girl would be Madison Ann-Marie. Alexander is a family name on my husbands side, Mychael is the name of the person who introduced my husband and I, and Ann-Marie is from my mom’s name. When August 10 finally rolled around, we were ecstatic to find out we were indeed going to be welcoming a little boy into our lives! ignore the timestamp on this picture. my camera liked to reset anytime I changed the batteries. August rolled into September, and things were progressing normally. Alex’s heartbeat was constantly around 160 bpm and he moved around like crazy. Except one day in September, he wasn’t moving around. At all. I panicked (as any mom would) and called the labor and delivery unit. I was advised that I should eat something sweet, drink some juice and lie on my left side for an hour. And call them back if I hadn’t felt any movement. I did this. And still felt nothing. I went into the Labor and Delivery unit at the hospital and was hooked up to the monitor. Of course, as soon as I was, he moved around like crazy, and thank God, was perfectly fine. September slipped into October and then into November and then finally it was December. My pregnancy had been progressing normally and we spent December walking, trying anything and everything we could to get labor going. On December 28th at 3am I woke up with stomach pains. I honestly thought I was constipated. I went to the washroom. After a little while I realized that the pains seemed pretty evenly spaced. So I went back to bed and started timing them. They were 10 minutes apart. And then 8. And then 5. At 5 mins apart (about 530) I woke my husband up. He was up and dressed before I even threw back the covers. He was ready to rush to the hospital right then. But I was confident I had time to spare. I wanted breakfast. And to take the Christmas tree down. Once that was all done, Hubs and I argued over whether 6am was too early to vacuum. (We lived in an apartment, so I guess it was) We called our parents, I repacked and we headed down to the car. Of course there was a TON of snow. And it was still storming out. At 730am we arrived at the hospital. (a normal 20 minute drive took over an hour) My contractions were about 4 minutes apart and slowly getting stronger. At noon I had my water broken. At 5 pitocin was started. My contractions were not staying regular and they were not getting stronger. It was obvious my body needed some help. At 7pm they started administering drugs. This is where things start getting a little foggy for me. I was given fentanyl, and the nurse was administering it too often (I didn’t find this out until much much later) At the time I thought it was normal. There are parts of my labor and delivery that are blank. Around 8 or so I got an epidural. At 915pm the nurse checked me and told me that I would be ready to start pushing when she was back from her break as I was 9.5 cm. When she came back from her break at 945 pm she had me start pushing. She did not check me again. At midnight, after I had been pushing for over 2 hours, the Dr came in to check me. I wasn’t fully thinned out or dilated. Nothing had happened since she last checked me. Except that I was exhausted. And the Dr realized that the baby’s head seemed twisted and stuck. He wanted me prepped for a C Section. So I pushed. And pushed and pushed some more. 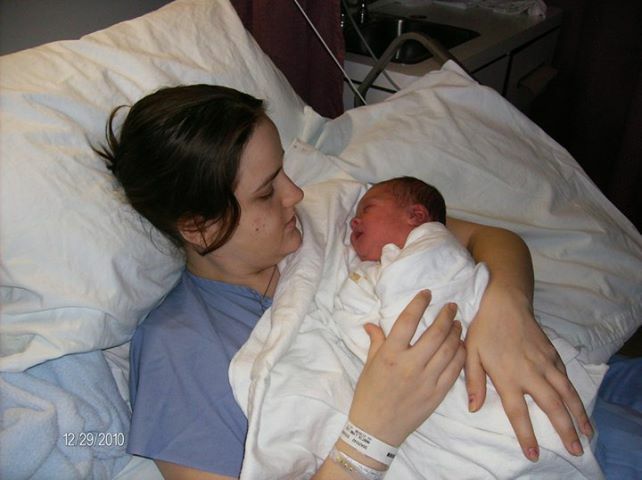 After pushing for 4.5 hours, an episiotomy and a forcep assisted birth, Alex was born on December 29, 2010 at 2:14 am. He had the cord around his neck 3 times. 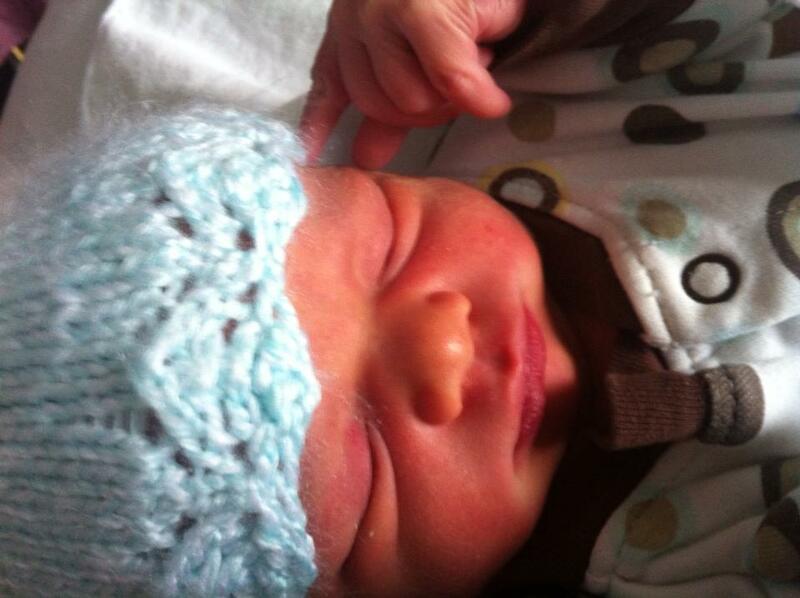 But he was a perfect 7 lbs 13 oz and 21 3/4 inches long. After I had Alex I had a really bad bladder infection from the prolonged catheter use that was made necessary because I couldn’t pee on my own until 3 days after I had him. (Which was attributed to the swelling from the episiotomy) On January 1, 2011 I finally got to leave the hospital and bring my baby boy home. That concludes Alex’s pregnancy/birth story. Nick and Zoey’s are coming soon!